My dad is the ultimate caregiver and a dedicated family man, and I’m super lucky to have him. I know that sounds a little out of the ordinary since we typically identify our mothers as a caregiver, but my dad dedicated himself to the care of his entire family. Growing up, my parents had a unique lifestyle compared to my other friends’ parents. In the morning, my parents typically didn’t wake up and go to work. My dad didn’t put on a suit and tie and go off to his job in corporate America. My dad stayed home and for most of my life was a caregiver to my grandparents. It all started in the 80s before I was born when my dad got into the grocery business with his father. My dad worked his way up in the grocery store that his father owned, and eventually was promoted to manager, and then partner. Many years later, that little grocery store was approached by a bigger grocery store corporation (think like Safeway) and was bought out. My dad retired at 32. To sustain our family, my dad dove into finances and investments and learned to strategically invest money in stocks and mutual funds. My dad isn’t a huge risk taker – so he conservatively invested (and still invests) in companies that have promise and research to back it up. Years later, my grandfather had a massive stroke after a routine heart procedure that rendered him unable to walk, talk, and do most things for himself. My grandma was elderly herself and had a hard time being able to get around to take care of the home, garden, finances, and transportation to all of the doctors and physical therapy appointments. My dad stepped in to help. Almost every afternoon after my dad watched all of his investment and business shows, he’d “work” a short shift helping my grandparents. The thing that my dad often forgot, it seemed, was to “invest” in himself. As I’ve gotten older and been able to, I try to treat my dad to things that he would never do for himself. His favorite present the last few years has been the “gift” of steak at the Metropolitan Grill in Seattle, which I try to treat to for birthdays and Christmas. This year for Father’s Day, I wanted to get my dad something I knew he’d love. A few months ago, I saw Nautica was introducing a new cologne, which instantly sparked memories from childhood. My dad is extremely picky, and one of the few splurges he allowed himself was a bottle of Nautica cologne. He’s quite thrifty, so when he ran low instead of buying the real stuff, he bought an “inspired by” scent at the drugstore. (This was before we had the Internet… it was much harder to find discounted Cologne then!) I thought to treat my dad to the “real” thing for Father’s Day would be a fun way to commemorate the holiday, and Macy’s had me covered. My dad can even rest assured that I got a deal – it is priced at $65 for four pieces – 3.4 oz EDT, 1 oz EDT, after shave balm, and shower gel! 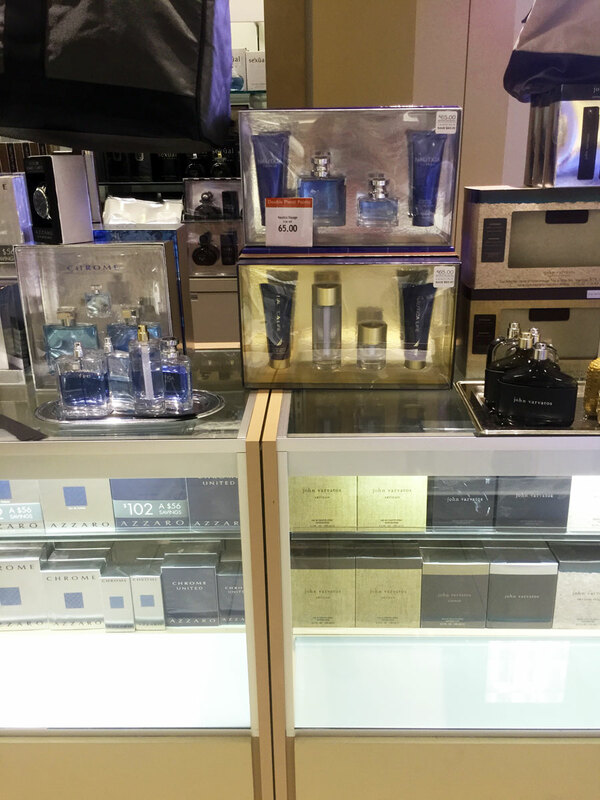 I was so glad to find this Nautica Voyage set conveniently located at my local Macy’s fragrance counter, sitting right on display so I could easily grab it and be on my way! The scent is very clean – it reminds me of something that I just can’t put my finger on, but I’d say it’s like a fresh citrusy soap. I think even the most discerning man would approve! On Father’s Day, I always like to thank my dad for being so caring and kind. He taught me the value of a dollar, how to save my money, and how to treat other people as I’d like to be treated. I can’t thank my dad enough for that. How are you celebrating your father this Father’s Day? 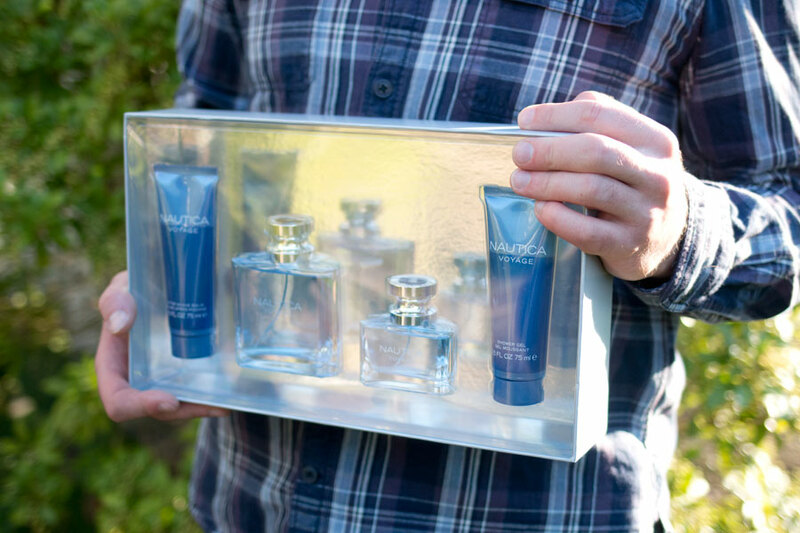 Would you give the gift of Nautica Voyage? Your dad sounds pretty great : ) And what a nice find–something he already loves! Wow, your dad sounds like an incredibly selfless person! How sweet of you to treat him! What great ideas! I’m getting my dad a power washer (with my siblings) and a funny dad shirt from Old Navy! Sounds like great gifts, Ashley! Hope you have a great day with your dad! Your dad seems like an amazing man. I too like to treat my dad, I get him weird and unique gifts he wouldn’t normally buy. Thank you for sharing!! What a beautiful post! My mom has been a caregiver for my grandparents and her brother over the course of the past 15 years, so I can definitely relate to the way it feels so have such a selfless family member. I’m so glad to see that you are treating your dad to something so special this Father’s Day. Nautica is classic- I’m sure he will love it! Thank you Madison! Sounds like your mom is a wonderful woman to be so selfless and caring for her family! I loved hearing about your dad’s story! It really sounds like a ya’ll have an amazing relationship! I am still trying to figure out what I am getting my dad for Father’s day but regardless, I can’t wait to spend time with him! So lovely to see you celebrating your dad this way! My dad also has a ‘signature’ cologne of sorts but it is always sold out everywhere! P.S you are totally and completely my new favourite blogger… love reading your posts! Your dad sounds awesome! What a great giveaway! There’s no doubt you have an amazing father, Jenn! The world seriously needs a lot of men like your dad. Great picks! Your dad sounds like a great man and I know you appreciate having him in your life! What a great gift for father’s day! Your dad must be pretty awesome too. Thanks Cassandra! Aww so sweet of you to want to give your dad the world. He sounds like such a good person. Thanks Jordyn! Yep, I graduated in 2010! :) Glad you had such a great experience in Pullman too! What a unique story and so amazing that he was able to retire early because of that! I love that he’s able to be there for your grandparents – that must have been so special to all of them! Thanks Jess, I really think it was! Haha, dads are always a challenge to buy for! I’m sure he’d love whatever you got him though! So sweet to hear about your relationship with your dad!! I always have the hardest time picking out father’s day presents, so I will definitely have to look into the Nautica line! 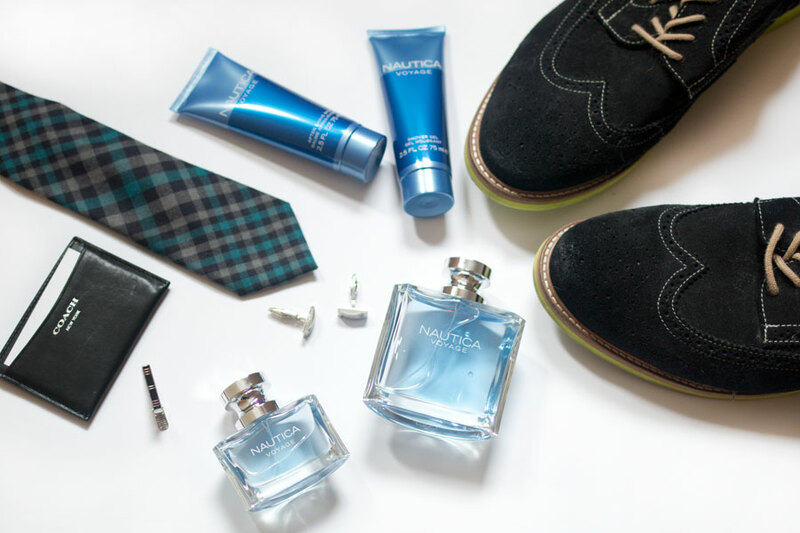 Nautica fragrances make me think of super ruggedly handsome men – which is so perfect for my husband! Aw, that’s awesome! Hope your husband loves it! That sounds like a great gift. Hope he loved it, Annie! What a sweet post! I hope that you and your Father have an amazing Father’s Day together! This is such a sweet post about your dad. He sounds like an incredible person. Happy Father’s Day to your dad. I’m sure he loves the gift you got him. I love reading about other people’s families. Thanks for sharing! This was such a sweet post and it sounds like you have an amazing dad. I’m so glad you were able to treat him for father’s day! Your dad seems great! I’m sure he’ll love reading this post just as much as he loves the present. Aw, thank you Lauren! It sounds like your dad is a great man too! This is such a sweet, sweet post Jenn!! Your dad sounds like such an amazing man, and Nautica Voyage sounds like really the perfect gift for him. Hope you two have a beautiful holiday together! Your dad’s career sounds exactly like the kind of career Dustin wants to have! Investments and retiring early! It sounds like you have a great father and a great example! It definitely does, I hope he’s able to. :) Thanks Chelsie! Your father sounds like a wonderful, hard-working, and respectable man! You’re such a good daughter for treating him to such a fun Father’s Day present! Seriously such a great gift! My dad is going to LOVE it! Yay, glad your dad will love it too Claire! Aw, thank you so much Courtney! I love that you’re giving him the real deal this year, rather than the knock-off. What a super sweet thing to do! My dad loves the Polo Ralph Lauren blue. I just got him a set last year. I’m sure he just loved that!